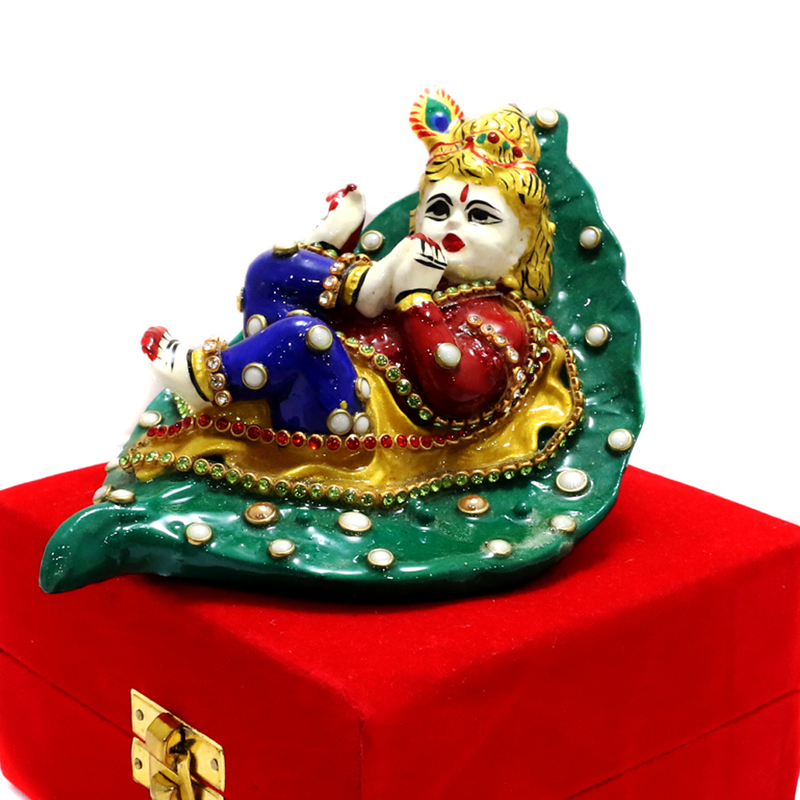 Little kanha here is shown to be sitting on a petal like green structure made of metal. 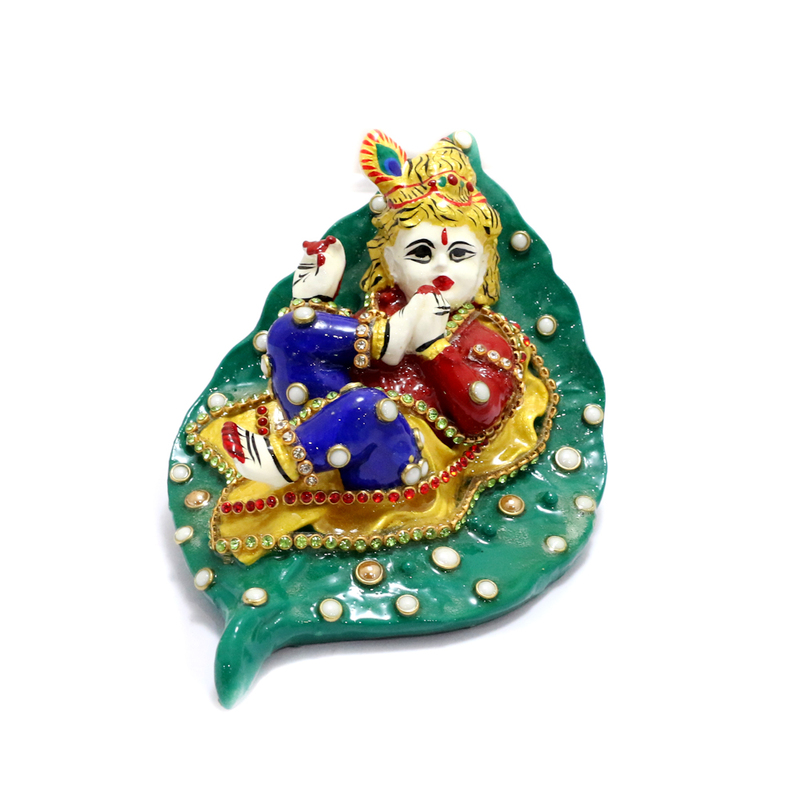 The colourful contrast helps the showpiece look pretty Read More..gorgeous. 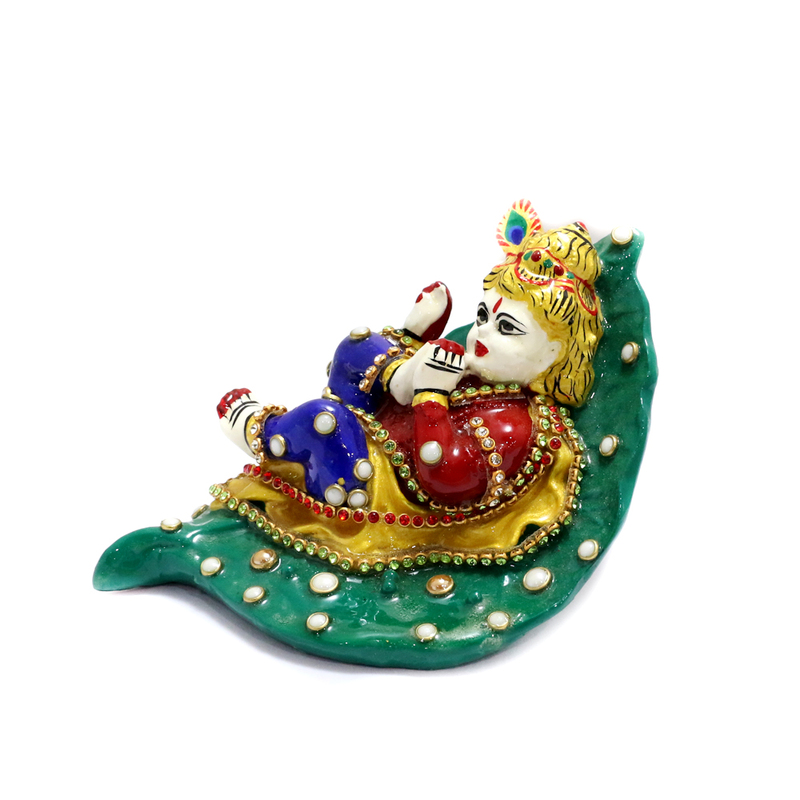 The showpiece is enriched with the hard work of meenakari and stone designs. Show Less..